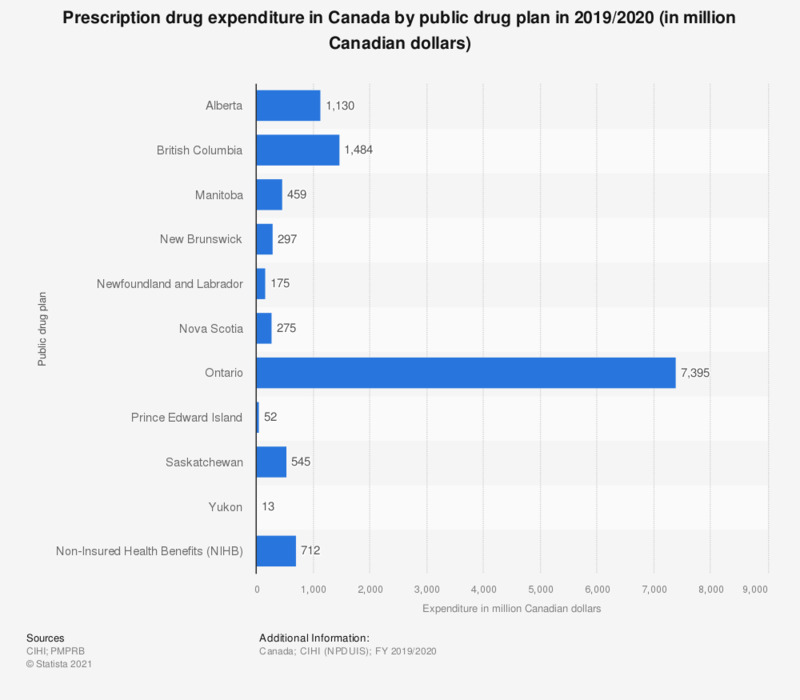 This statistic depicts the prescription drug expenditures in Canada in fiscal year 2016/2017, by selected public drug plan. Alberta's public drug plan spent some 955 million Canadian dollars on prescription drugs. This analysis only includes data for beneficiaries that met their deductible and received public reimbursement. Markup amounts are captured in the drug costs. Yukon is not reported due to limitations in the dispensing cost data. Everything On "Canadian pharmaceutical industry" in One Document: Edited and Divided into Handy Chapters. Including Detailed References.